Join hosts Robert and Michele Forto as they present the Team Ineka podcast. 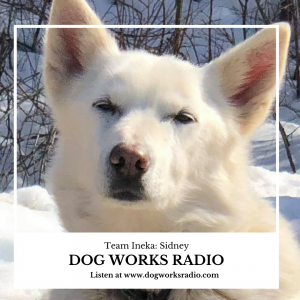 On this episode they tell the story of one of our lead dogs, Sidney. Michele is the lead trainer at Alaska Dog Works and is the main service and therapy dog trainer for their program, Lead Dog Service Dogs. She is also the host of The Daily Dog podcast here on Dog Works Radio. Michele is a mid-life in college student at UAA and studying history. In her spare time she loves attending rock festivals and roller coaster tours with Robert.